JMP 12 Mac users will get some substantial assistance working with Microsoft Excel data. 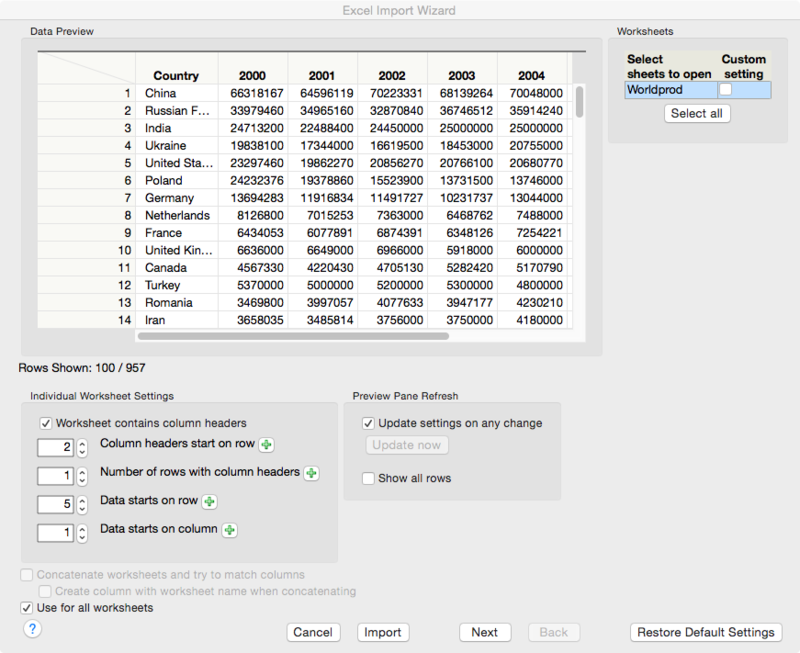 The Excel Import Wizard that was available for the JMP for Windows in JMP 11 arrives for the Mac in JMP 12. 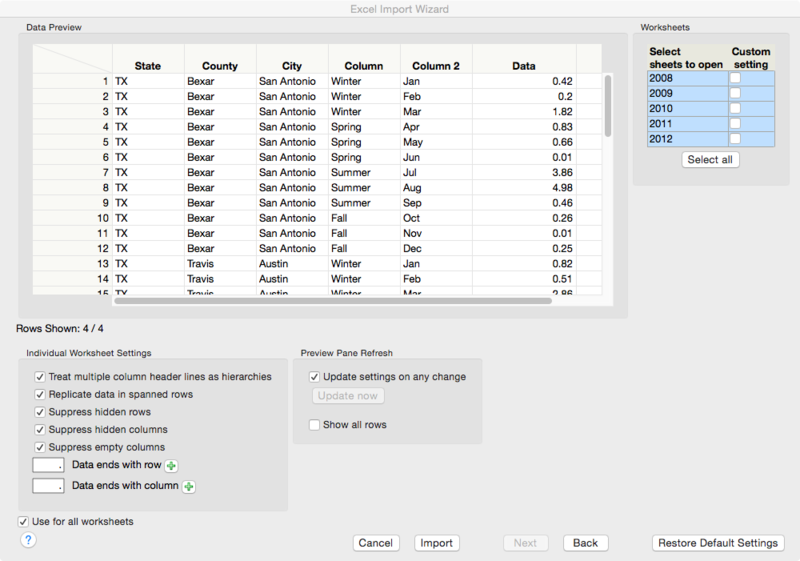 The features of the Excel Import Wizard are identical for both the Mac and Windows versions of the product. If you are already familiar with the Excel Import Wizard, then you’ll notice new enhancements in JMP 12. Perhaps of even more significance for the Mac user, JMP 12 adds the ability to read XLSX files. Previously, Mac users could open the older XLS format files, but not XLSX. XLSX is the newer Excel file format that arrived with Excel 2007. All imports of XLSX files will go through the Excel Import Wizard. JMP 12 also adds the capability to export JMP data tables as XLSX files. The Excel Import Wizard presents a preview of the data, and allows you to quickly change settings like the starting row or column of the headers and data. The wizard now allows a row in the preview to be selected, and then a simple button click fills in the starting row or column information. There are more advanced features that allow you to concatenate multiple worksheets within a workbook. Sometimes the header information for an Excel column resides on multiple rows, and these rows contain information that is really data that is relevant to observations within the worksheet. A powerful feature to create a stacked table helps you reorganize this information for easy usage within JMP.